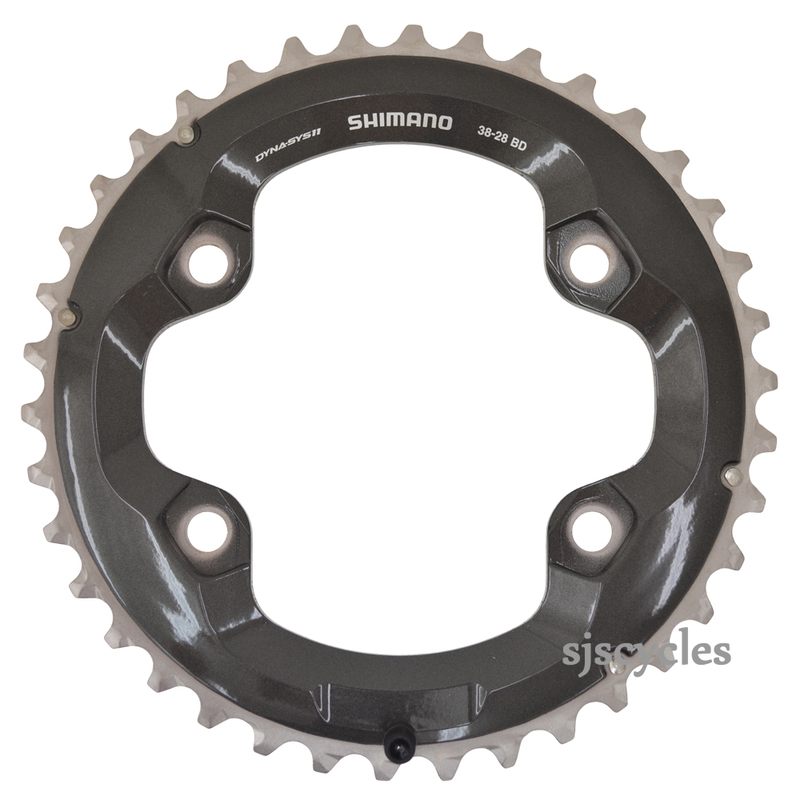 This Outer Chainring can only be used with Shimano Deore XT FC-M8000 11spd Double Chainsets with a 38-28T set up. It is possible to fit a 38T outer chainring to your M8000 chainset. However to keep optimum shifting Shimano would recommend that when you change to a 38T outer you change to the matching 28T inner 64mm ring as well. If you change both rings you'll need to adjust your front derailleur to match the larger rings as well.